Offering a primer for practitioners and researchers, this volume strives to incorporate assessment of human strengths, resources and fulfilments into their work. Contributors examine the scientific underpinnings and practical application of measures of hope, optimism, self-efficacy, problem-solving, locus of control, creativity, wisdom, courage, positive emotion, self-esteem, love, emotional intelligence, empathy, attachment, forgiveness, humour, gratitiude, faith, morality, coping, well-being and quality of life. Vocational and multicultural applications of positive psychological assessment are also discussed, as is the measurement of contextual variables that may facilitate the development or enhancement of human strength. 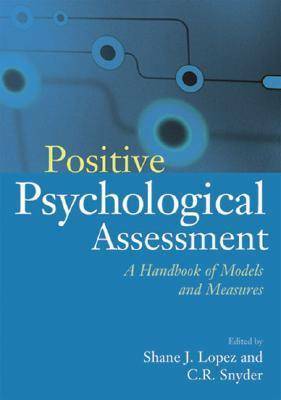 The variety of perspectives offered should be useful to readers who wish to incorporate balance into their assessments and research through the integration of theoretically grounded positive measures.